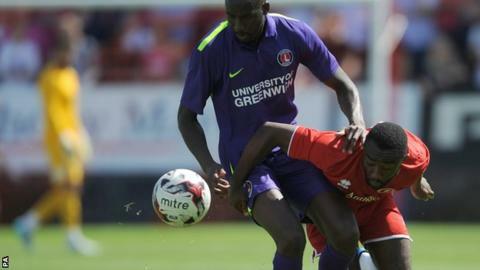 Welling striker Sahr Kabba is the first player to be charged by the Football Association under a new rule against feigning injury. Tranmere defender Ritchie Sutton was shown a red card after an incident in a 1-1 National League draw on Saturday. Sutton successfully appealed against the decision and Kabba has now been charged for "allegedly exaggerating or feigning an injury which directly led to an opponent being dismissed". The rule is new for this season. Kabba - who now faces a three-match ban - has until 11 September to respond to the charge. Under the rule introduced this season, a player who feigns injury and gets an opponent sent off could face a suspension.